The University will form a second committee to investigate the role John Evans played in the Sand Creek Massacre. University President Morton Schapiro said the University should improve campus culture toward Native Americans. 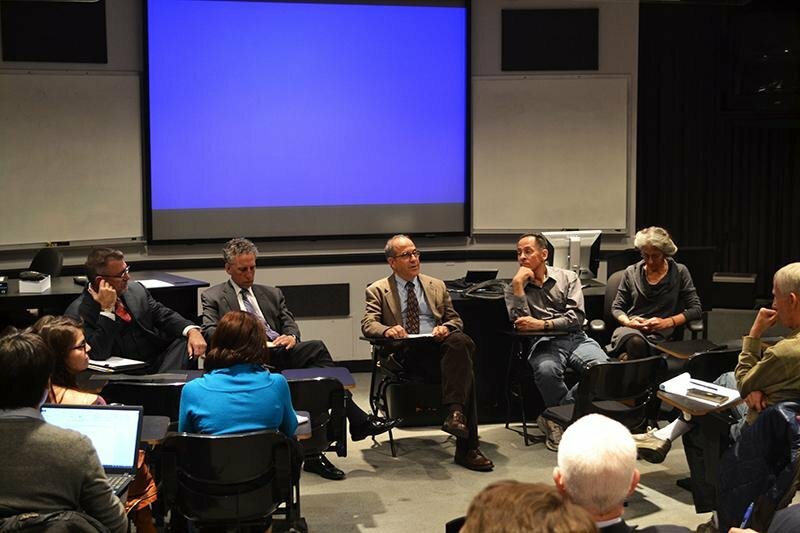 Emotions ran high Wednesday night at University Library as the John Evans Study Committee held an open forum to give an update on its research, answer questions and take suggestions from the Northwestern community. Provost Dan Linzer formed a study committee last year to investigate the role University founder John Evans played in the 1864 Sand Creek Massacre and whether NU benefitted financially from Evans’ actions. The massacre resulted in the death of more than 100 Cheyenne and Arapaho people in the Colorado Territory during Evans’ time as governor. The committee, which is led by English and history Prof. Carl Smith, includes three additional NU faculty and four professors from other universities. Heather Menefee, co-president of the Native American and Indigenous Student Alliance, said the environment at the event, which was attended by about 80 people, felt tense. “It wasn’t helped by people raising their voices and committee members raising their voices and cutting people off and getting angry or defensive, but I think overall I guess it’s successful in that so many people showed up,” the Weinberg junior said. Megan Bang (SESP ’08) attended the event because she said she has been thinking about the underrepresentation of Native Americans at NU since she was a student here half a decade ago. Bang added that she would like to see representatives from the Cheyenne and Arapaho communities represented on the committee. Although many audience members expressed disappointment regarding the lack of effort demonstrated by the University to reconcile Evans’ involvement in the Massacre, history Prof. Peter Hayes, a member of the committee, said Evans’ role, if he had any, is still unclear. Smith said the event was exactly what the committee wanted: an opportunity to share its findings and receive feedback. He said he was not surprised by the environment.